Orion, the manufacturer of Choco Pie, has rolled out Dessert Choco Pie -- an upgraded version of the snack that was launched in 1974. The new product comes in four flavors: original, caramel salt, cacao and red velvet. 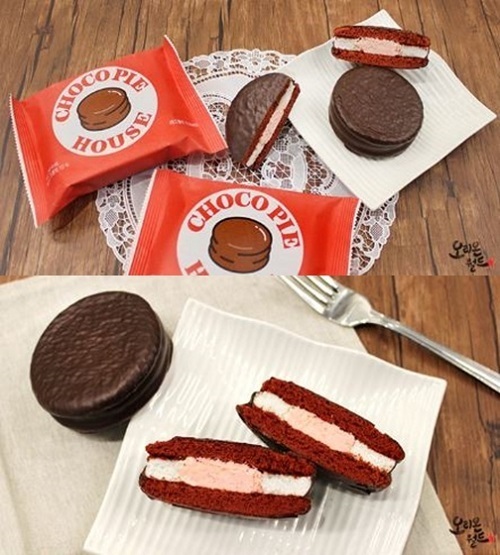 Red Velvet Choco Pie -- the most noticeably different -- is made of two pieces of round chocolate sponge, soft white marshmallow and strawberry cream. 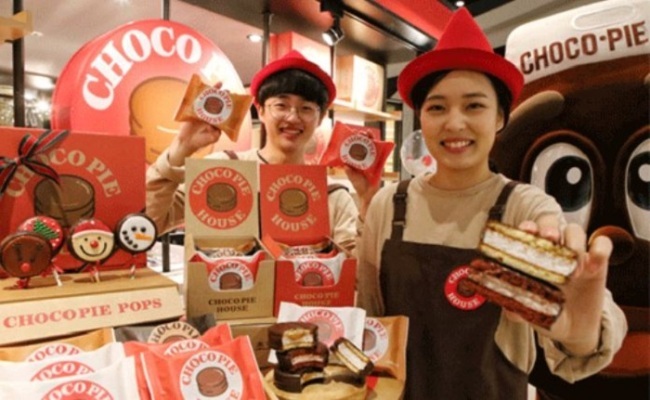 According to an industry insider, the new product went through extensive research and development at the company’s dessert cafe Lab O.
Dessert Choco Pie is only sold at Choco Pie House in the food court of Hyundai Department Store’s Pangyo branch. 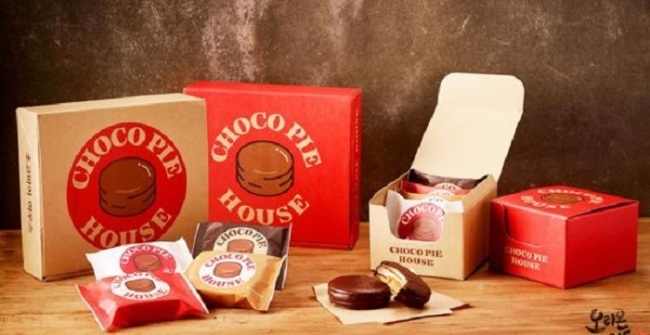 With many dessert brands eyeing to open in Hyundai Department Store in Pangyo, industry insiders say Orion’s opening of Choco Pie House may hint at the firm’s determination to expand into the dessert market. Sales of Dessert Choco Pie began Friday at the Pangyo branch of Hyundai Department Store. The snack firm says it will gradually open other stores.